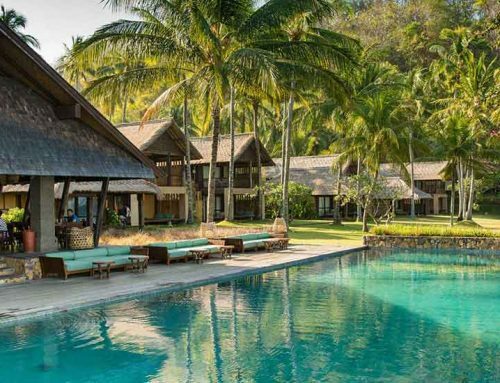 Opened in 2003 the Siladen Resort & Spa is an exclusive dive resort on the island of Siladen located in the Bunaken Marine Park, a protected area in the Indian Ocean. This part of Indonesia belongs to the province of Sulawesi. 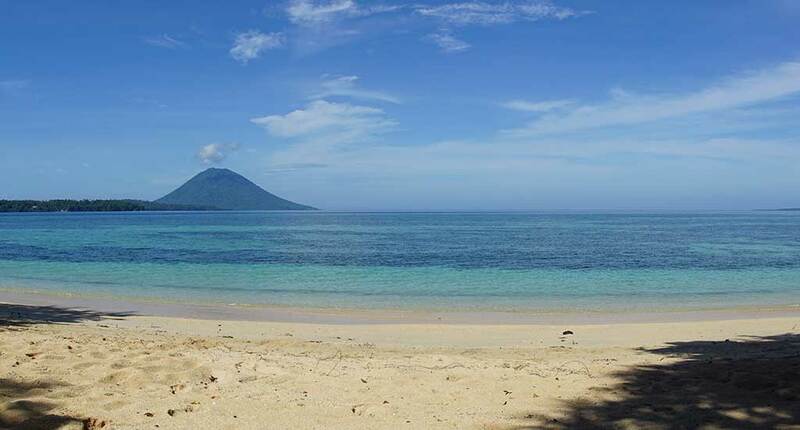 Facing the 300 meter private beach, you enjoy the scenic view to the Manado Tua volcano. 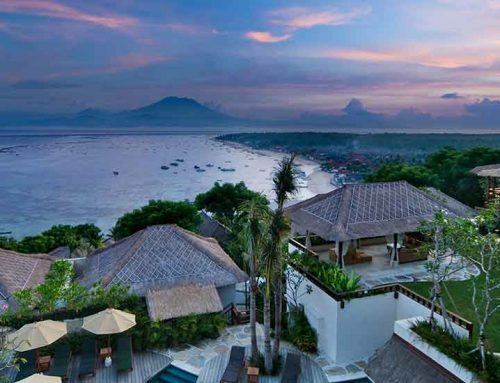 Offering 20 villas the resort provides a familiar, island feeling. 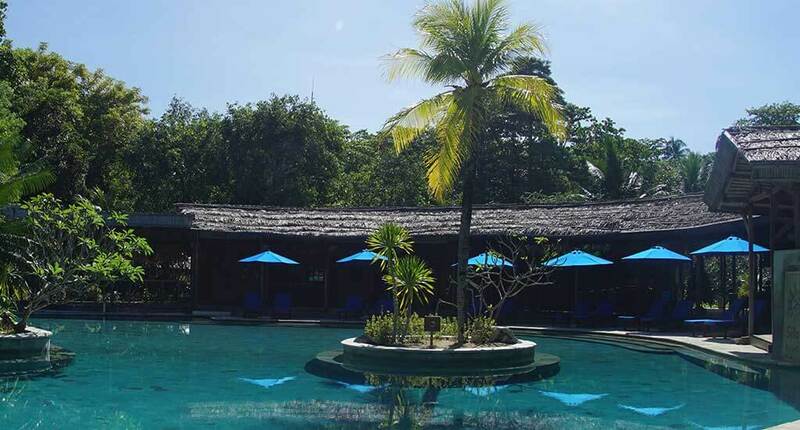 Moreover there is a spa, a nice pool area in front of an open lobby area facing the beach, the dive center, and a boutique for gifts, suncream, and beach clothes. One big restaurant serves breakfast, lunch, and dinner mostly buffet style for so that everyone can find something. 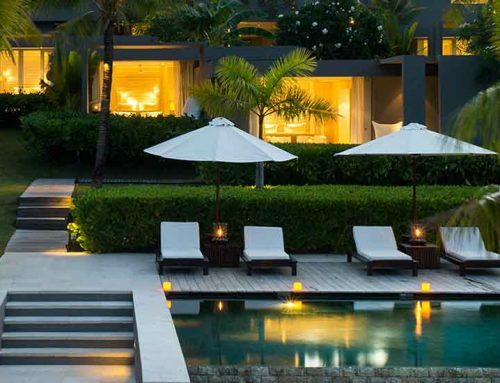 All villas provide an cosy wood-design and offer Wifi, satellite TV, air condition, mini bar, coffee-/tea making facilities, hair dryer, bath amenities, in-room safe. The bathrooms are in private open air style. 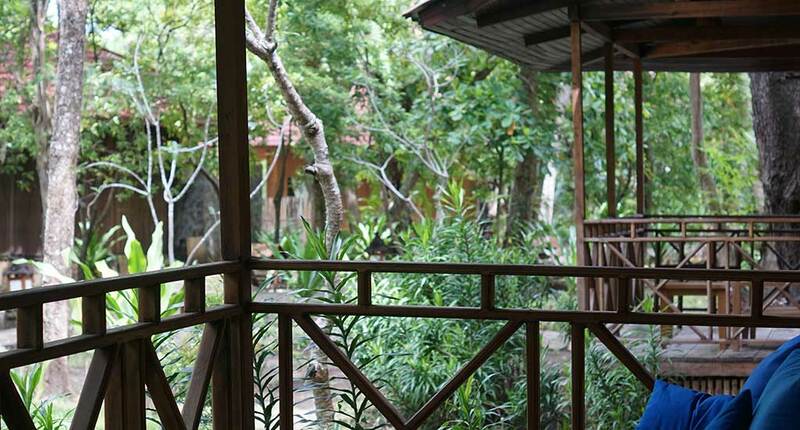 In front of every villa there is a small private terrace with a veranda. 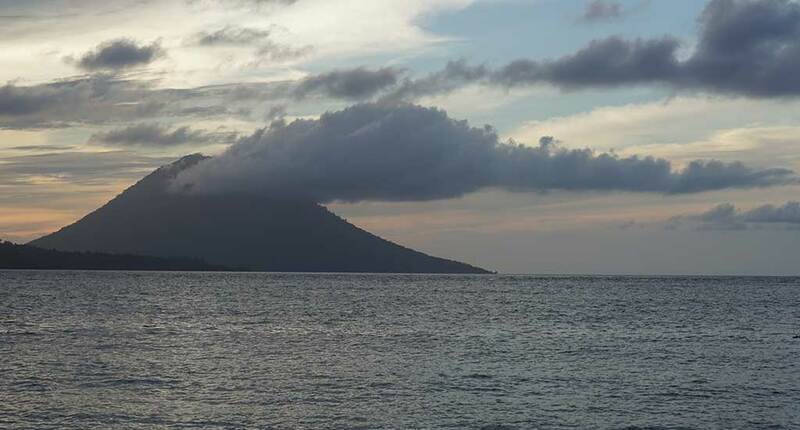 What we really want to highlight is the outstanding diving experience in the area of Bunaken. The maritime live is very rich an colorful and more or less comparable with diving in Raja Ampat. Raja Ampat is still a more impressive in repect of big fish but it’s much more difficult to go there. Siladen is only a two hours flight from Singapore and another half an hour by boat away and the diving experience provides a high diversity of corals and smaller maritime animals. There are amazing dive spots in the Marine Park to watch turtles, corals, scorpion, clown or mandarin fishes. 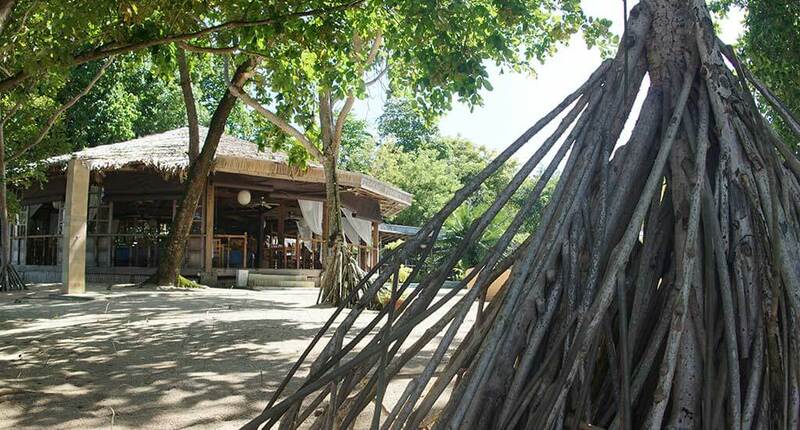 A really great aspect of this island paradise is the fact, that the Siladen resort follows a sustainable mission and takes over social responsibility. Teaching the villagers how to keep the beach clean and how to reduce waste, is only one of different projects. Another one is the launch of a conservation program to protect and safeguard turtles in 2004 – with an impressive effect: We’ve never seen so many turtles during one dive trip like here. Also for, non-divers there are different activities you can join like snorkeling, dolphin watching or canoeing. The location on Siladen island is very quiet and peaceful. 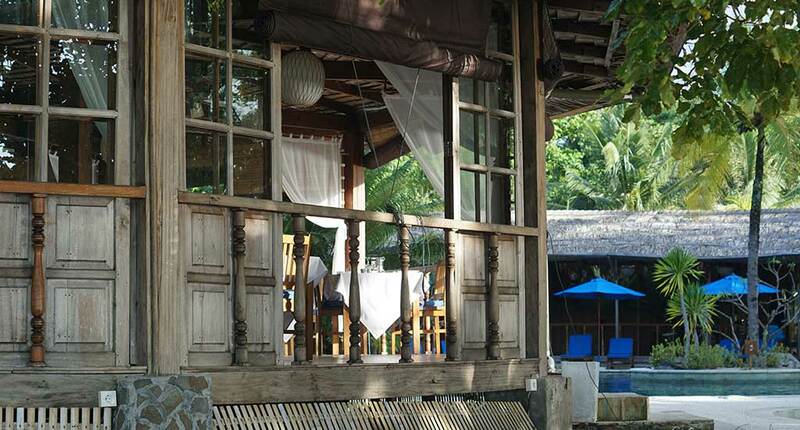 This makes it a place for couples and families looking for snorkeling and diving. For sure, it’s definetely not the best place for party people and couples who appreciate to go every evening to another restaurant. There are simply no other dinner options on this island and you should consider this in advance. Beside this you see that the resort is not the most modern one any more but it doesn’t matter as long as you don’t expect 100% perfection. 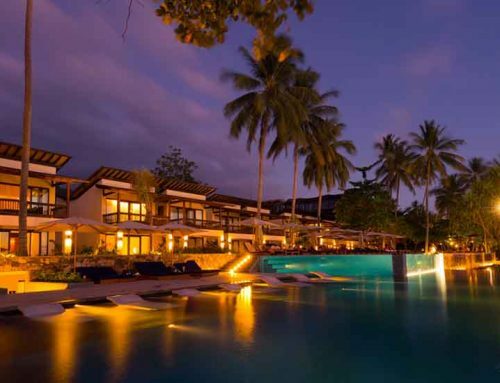 No matter what, it’s still an outstanding island paradise and one of the best Resorts in Sulawesi.